"I believe it will spur a whole era of innovation for entrepreneurs here," IBM Chief Executive Ginni Rometty told delegates at a conference on Wednesday. "Data ... needs to be refined. It will determine undisputed winners and losers across every industry," she said. As an example, Rometty cited how Morocco had used sophisticated data mining for "smart agriculture" to improve how crops are grown by predicting weather, demand and disease outbreaks. The Watson system uses artificial intelligence that can quickly analyze huge amounts of data and understand human language well enough to hold sophisticated conversations. It beat humans on the TV quiz show "Jeopardy" in 2011.
International Business Machines Corp has so far failed to convert that genius into substantial revenue growth, with the system contributing just $100 million over the past three years as overall revenues declined. 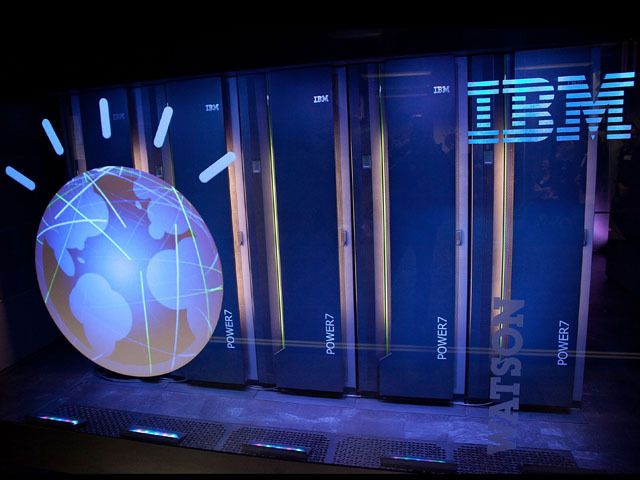 The company said last month it would invest $1 billion in creating a business unit for Watson, named after former IBM President Thomas Watson. The technology would enable poorer parts of Africa to "leapfrog" stages of development they have failed to reach because they were too expensive, in much the same way mobile phones took off across the continent in places where there had been virtually no landlines, said Michel Bézy, a Rwanda-based technology professor who helped develop the Watson system. It could help with education in schools that have few computer resources by using smartphone apps that get access to Watson's analytical tools through cloud computing, IBM's chief Africa research scientist Uyi Stewart told Reuters in Lagos. "This is a continent with a tremendous infrastructural deficit, but leveraging data can help you get around it," he said. Roads in countries like Nigeria are often so poorly maintained, traffic-clogged or flooded that it is impossible to predict how long a journey will take, which is problematic for logistics companies. Stewart said the system would help such companies by telling them where potholes are, which junctions are choke points and whether it is raining. Two Nigerian start ups, a logistics and a traffic control company, have already adopted the Watson system.